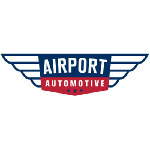 Airport Automotive has been serving the Colorado Springs neighborhood as a full-service auto repair shop specializing in Toyota and Lexus repair since 1991. Call us today or stop by to see what makes Airport Automotive #1 in Colorado Springs auto repair! Call (719) 570-7212 for an appointment.